The Romans took much of their medical knowledge from the Greeks and went on to use and improve the ability of aromatics. Rome became the bathing capital of the world. 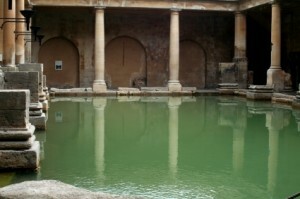 After bathing the Romans would be oiled and massaged. The Romans started to import new aromatic products from East India and Arabia through the opening up of trade routes. During the crusades the knowledge of aromatic oils and perfumes spread to the Far East and Arabia. It was a physician called Avicenna who lived from A.D 980 to AD 1037 who is understood to have first used the process known as distillation to distil essence of rose. It probably took many years to perfect the process . The Arabs also discovered how to distil alcohol around the same time making it possible to produce perfumes without a heavy oily base. 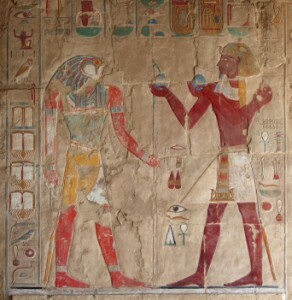 There is a strong possibility that the ancient Chinese civilizations were using some form of aromatics at the same time as the Egyptians. Shen Nung’s Herbal book is the oldest surviving medical book in China. It is dated about 2700 BC and contains information on over 300 plants. The Chinese used aromatic herbs and burned aromatic woods and incense to show respect to God. Traditional Indian medicine known as Ayurveda has been practiced for more than 3000 years and it incorporates aromatic massage as one of its main aspects. The invasions of South America by the conquistadores brought about the discovery of more medicinal plants and aromatic oils. The Aztecs were well known for their plant remedies and the Spanish were amazed at the wealth of medicinal plants found in Montezuma’s botanical gardens. The North American Indians also used aromatic oils and produced their own herbal remedies. It wasn’t until the 19th century that scientists in Europe and Great Britain began researching the effects of essential oils on bacteria in humans. A French chemist, René Maurice Gattefossé, began his research into the healing powers of essential oils after burning his hand in his laboratory and applying lavender oil. He was impressed by how quickly the burn healed. 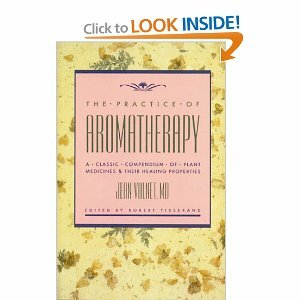 In 1937 he published the book Aromathérapie: Les Huiles Essentielles, Hormones Végétales, a book about the anti-microbial effects of the oils and coined the word Aromatherapy. He went on to set up a business producing oils for use in fragrances and cosmetics. Around the same time another Frenchman, Albert Couvreur, published a book on the medicinal uses of essential oils. A French medical doctor, Jean Valnet, discovered Gattefosse’s research and began experimenting with essential oils. He realized the enormous potential of essential oils when he used them in treating wounds during the war. In 1964 he published his first book The Practice of Aromatherapy: A Classic Compendium of Plant Medicines and Their Healing Properties Around the same time, Margaret Maury, a French biochemist developed a unique method of applying these oils to the skin with massage. Micheline Arcier, now living in London, studied and worked with Maury and Valnet and their combined techniques created a form of Aromatherapy now used all over the world.